Looking to change your banking or contact details? 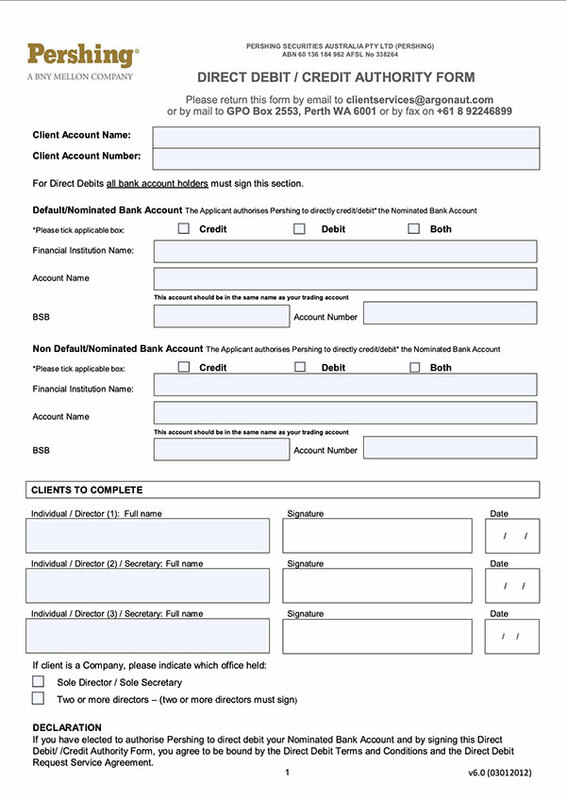 Easy to use forms provided below. 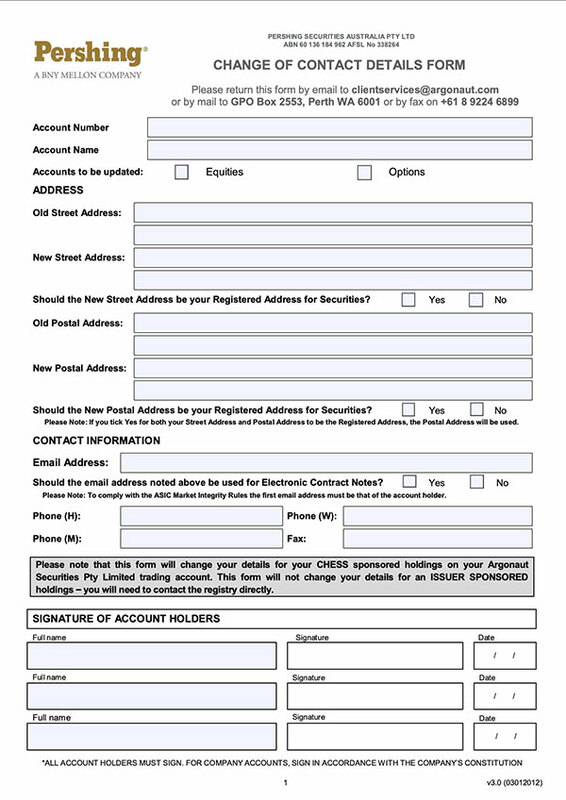 Please complete, sign and return to clientservices@argonaut.com or post to Client Services GPO Box 2553 Perth WA 6001 or by fax on +61 8 9224 6899. If you have any queries, please don’t hesitate to contact us on +61 8 9224 6888.